Closed for lunch from 1:00-2:00 Monday-Saturday and 1:00-1:30 Sunday. Tony Excellent representative of your business. A total professional, very knowledgeable, friendly a pleasure to work with. Store manager was very patient, and extremely helpful with me as a patron, i gave him and the storage 5 stars. This location is very convenient It's pretty close to our house. The price is great! Affordable!!! Thank You for your excellent service. I've been here for 8yrs I think everything is excellent! No complaints. New truck drives smooth. Thanks for making it a great experience. I dealt with Tony Tinajero on the phone and in person. Tony is knowledgeable personable and clear in his explanation of the services offered at South street Self Storage. He was a big part of my decision to rent here. I am very content with the service. 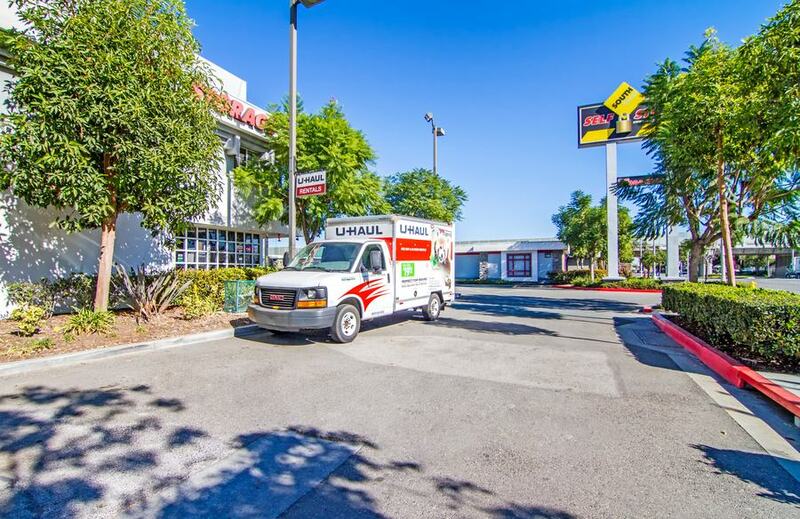 The Location is convenient, clean, and offers he best quality, convenience, and the customer service is excellent as Tony and his staff are very friendly and make sure all your needs are met for an easy move-in. Highly Recommend! Kassie always has a beautiful smile every time i come in. Makes paying for my storage so pleasant! I think that the service is great. The employees are very helpful. Tony and Sandra are the best! Very professional, helpful, knowledgeable! I would rate them 10 stars if I could... because they deserve it! I rented at this Facility for about 4 years and never encountered a problem. They treat you with respect! 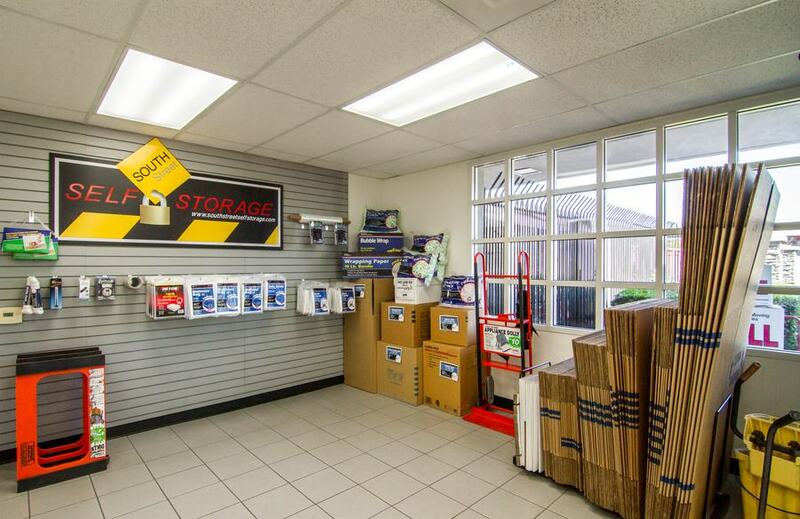 if you're looking for a clean, secure, great prices, great staff and convenient storage facility, then South Street Storage is the place for you! Give them a call, you will not regret it! Tell them Debra sent you!! Great customers service, they were very helpful and informative . For Brian - Customer service was exemplary, His professionalism was a nice surprise and his knowledge was exceptional. I felt at ease and his humor was an added bonus. All in all - love the facility, very clean, cheerful. and convenient. Fast service, clean comfortable environment helpful friendly staff. Highly recommended. This is the best storage facility i have utilized. I have been here over one year. Always very friendly, courteous, helpful and professional management and customer service, Thank you. It makes life much easier to know things are safe and well handed. I went on the internet to find a storage place that was considered the best in Long Beach and South Street Storage(self Storage) popped up. i reserved a space online and when i came in Brian was most helpful, very friendly and courteous. He let us read everything without forcing us to sign quickly. And gave us a tour of our space . Two thumbs up! Super Helpful and straightforward. I can say I would definitely recommend a friend just based on the service. well and the great unit value. I had a great time with South Street Self Storage. Brian Helped me out alot with a truck to move my sister n law furniture to her new place. He was nice and honest about the right size truck to get. Thanks for workers like him on your staff. awesome personel with great spirit for people in need. Service is great! Tony is very friendly knowledgeable. I had a really great experience. Thank you Tony for being very professional & making it easy to transition. Exelente servicio cuentan con personal muy amables y capacitados. Tony was excellent. Great customer service. And informed us in great detail. I appreciate your service was excellent. Great storage place feel very satisfied that my items are in good hands. Great service, friendly service and all the help you need!!! I would like to that the corporate office as well as the front office for always be helpful and kind. my storage always felt safe and if i had a problem corporate worked with me. I would recommend south street storage, I am very grateful. In the years I been here I have had very good service. Good location very good service, good price on rent friendly personnel. nice building well painted nice and clean. Everything is neat and nice, to me it is perfect. I am happy here. I came to check on my unit after the rain / floods. I was very impressed to see that even though i have a drive-up unit there was not even a bit of water seeping into the unit. Everything is completely dry! (: you guys are the greatest. Tony was very knowledgeable and helpful and made the process quick and painless. Kassie is very professional and pleasant to work with. I will rent here again if i have too. I love the customer service and convenience and cleanliness. Service was excellent and as a returning customer this is my second time and I am always pleased with the service. I am not a customer anymore. Overall customer service was great Tony and Sandra are awesome unfortunately price was high for me. Good access with two doors,nice wide alley ways between units. Convenient ground floor access, friendly staff. 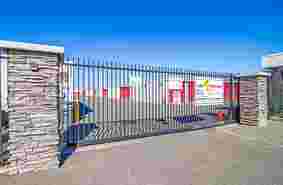 South Street Self Storage is a very nice and professional location. Customer service is great! Staff is very friendly. I'm happy i chose this place to keep my personal belongings safe! Five Star! Great job! Thank you for your prompt and courtesy service. This one is way better than the one on Paramount! Every thing is good so far that I see. Has good quality they always answer my questions they are so friendly every time I visit. Place is fair compare to other places. I highly recommend this storage place. Tony was professional and responsive to our needs. Great service. people always helpful but need to continue discounts. Good Service :) Answered all of my questions when first came in. Overall this is a great facility. The staff is knowledgeable and friendly. Great job on customer service. I will tell all my friends and family about South Street Self Storage. Thank you for all your help. Good, customer service, and keep the good work. Todo es bueno las personas que atienden son amables y siempre me ayudan con cualquier problema. Los precios muy altos y sigo aqui por como son las personas de amable (empleados) Hay que mejorar los precios. Great service plus pricing , nice facility. Service good. thank you for having the storage to put my clothing and other thing else. We love you guys we are returning customers. I have use this storage place for years and had good service. Great customer service. Rented twice and never had any issues. Keep us the good work. very clean and convenient spaces and friendly people. Tony and Sandra are the best- great service with a smile, every time I stop in! Good and secure place to store your belongings, worry free. Nice and calm, place to have my stuff. Safe! to whom may regard I just want to Thank Sandra and Tony for excellent customer service. Every time I come in they are very helpful and attentive. Very nice and friendly too. I really love to come back and rent a space from here because they are always friendly and give excellent service. Im going on a year being a customer and several yrs back I rented with your company before and was satisfied and referred family and I came back Not happy with rent increase. Always, friendly quick service. Great clean trucks. Sandra went above and beyond to help her customer. She is awesome!!! I'm a 20 year veteran with 2 purple hearts and more.. You should honor all veterans for their service like many other companies, yet you get rich for freedom we fought for, and keep raising the price and feels for loyalty to America. The best self storage in town. Very happy with service. Antonio always very helpful with everything. He is nice and to the point. Antonio was amazing, what a great rep. for U-Haul and storage totally made it easy and fun thanks for all your help. Antonio the manager is always very helpful. When I ask a question regarding my unit he is always helpful. everything looks clean and painted-information all around the office-about your needs. This place is excellent I couldn't have asked for anymore great service. I definitely recommend. Jessica is an awesome worker. Wonderful customer service. Give her a raise!!! This place is good and they have good service. Every person in this office has always been very polite, patient, and very helpful. They are excelent people working here i'ts a very good friendly professional people. tengo ya casi 1 ano rentando con ustedes y no tengo quejas de nada gracias por su servicio. me gusta el servicio que dan los engargados gente amable, la unidades estan limpias. Gracias por su servicio. Awsome, friendly and fair prices experience. Thanks for great service. very friendly very helpful. Thanks for the storage. very good back pack event! This place feels like home away from home the service is beyond amazing. I would recommend it to everyone great folks! good service always with a smile with Henry. Wonderful ppl and truck ran hot. nice people working at this office. I have been a customer for many years and i also have multiple units. I am very happy with the layout of the storage company. Service was great very fast and efficient I am so glad we found this place. We've had a very good experience and definitely will keep doing business here they have very helpful personnel and they price are very affordable. Service was excellent. Very helpful with anything i needed . I would refer them to anyone that needs a truck. Will be returning. very good service company locations is very convenient. this company has been around for all my moving needs. very good service, and event. i love coming to the self storage they are very friendly and hard workers. Optimum customer service always friendly and willing to help. Friendly employees good refreshments clean facility. Great customer service smiling faces. great! nice friendly people good refreshments. good service very friendly, very clean. The staff at South Street Storage is the true meaning of what cust. svc. should be! I like it here, but I wish access was till 9pm other than that it's perfect. I came in to purchase moving boxes. Henry was a big help and was very friendly. I will recommend this place to my friends. We love you guys. Sandra + Antonio thanks for everything. Hearts. You guys have been awesome to me, my things have been stored a little over a year and still in great shape like stored it yesterday! Since I've been renting with your service everything has been very very good. I have NO Complaints. Doing an excellent job. Thinking out of the box. Allow them to make deals and trust people in this economy. good people running the place. Units and facility are clean, well kept. Managers are friendly and informative. Cleanest restroom in public place. Professional job they are so excellent, nice couple and 100% great attitude. Excellent storage facility and management staff. Professional + friendly staff. I would recommend South St. to everybody. Very polite/nice and they give youa curtesy call when your payment is due. very polite, efficient, and professional! Clean facility with nice people. This facility is always clean, and the staff is extremely helpful and courteous. Great place to store! They have great customer service!!! I rented a U haul from them. I got fast service. Great Job. Great Prices! I used them when i was in between places. this company treats u asthough ur very important. i love the people that the company has hired. they are great! these people have been very supported torwards me when i need asst. we need more people like this in the world. I LIKE THE CUSTOMER SERVICE HERE. THE WORKERS ARE THE BEST! THIS IS THE BEST PLACE TO STORE YOUR BELONGINGS. THE WORKERS CARE ABOUT THE PEOPLE THAT HAVE STORAGE, I MEAN THEY REALLY HAVE HEARTS. They always have good discounts, Tony is really nice. nice place to store great job. 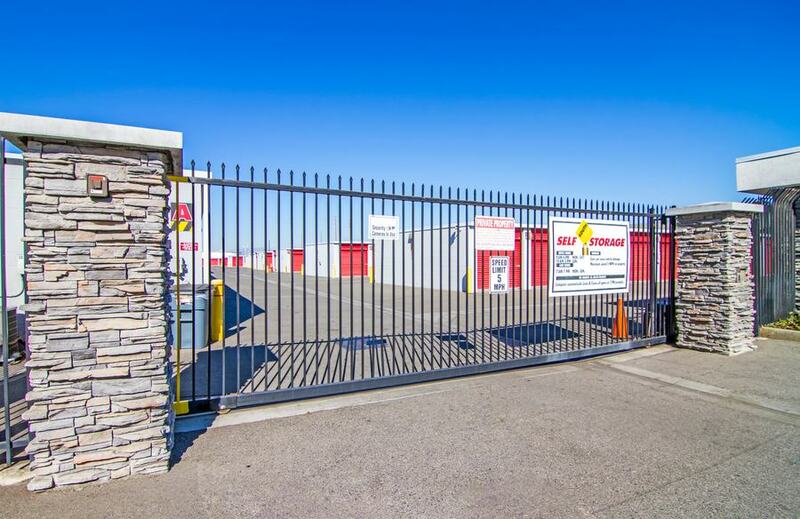 When you're ready to simplify your life by renting a self storage unit in Long Beach, CA, South Street Self Storage is ready to make your life a lot easier! 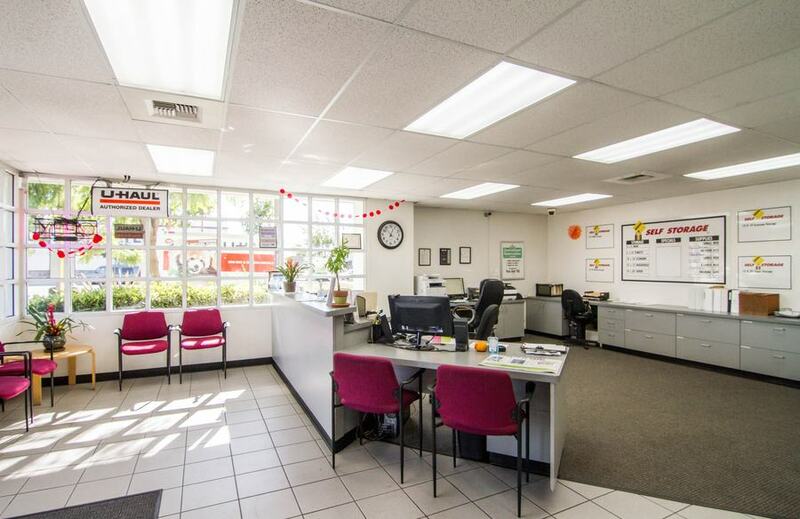 Our facility is located at 2323 E South Street near South Coast Shingle, AutoNation Collision Center Cerritos, and Little Caesars. We're eager to solve your storage problem. Contact us right away and we'll help you get started! South Street Self Storage is ready to help you declutter your life! 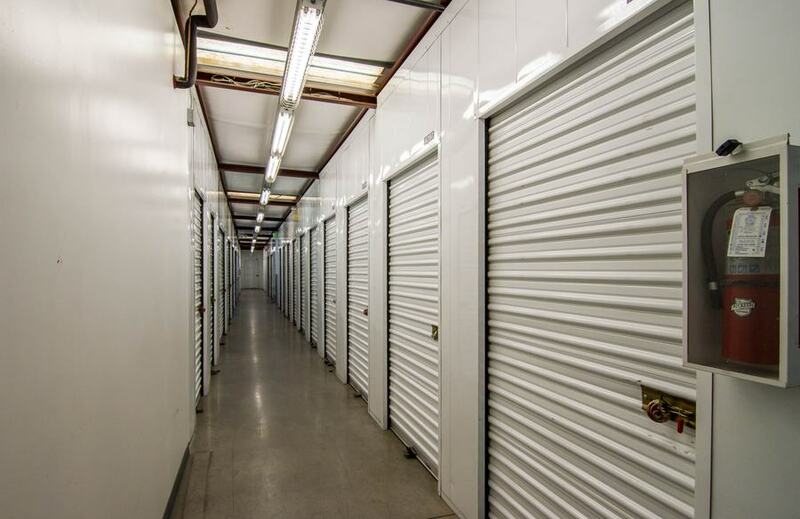 We offer clean, affordable storage units of the highest quality, and we offer more than the average storage facility. From our boat storage options to our onsite truck rentals, we truly have it all. For the protection of your unit, we take extra precautions like 24-hour camera recording, personal PTI code system, and individual alarms on each unit. As an added convenience, managers speak Spanish for our bilingual community. Drive-up access is available on most units, and all units are ground level. Come visit us! Backpacks lined up for South Street Self Storage’s annual school supply and backpack drive in Long Beach, California. The backpack drive at South Street Self Storage was a success! Because of the Long Beach, California community, we were able to provide backpacks full of school supplies to 30 local school children. Thank you to everyone who donated during the last month! We are looking forward to helping even more children go to school next year! Be sure to head on down to South Street Self Storage in Long Beach, California on August 26th, from 1:00pm to 3:00pm, to eat some delicious bar-b-que and help our community’s children get a better education! How, you might ask? By bringing school supplies with you to donate before you chow down on burgers and hotdogs! Seven years ago, the team at South Street Self Storage began this now yearly tradition with a simple goal: help as many children get what they need to go to school, no matter how small. That first year, in 2010, raised 15 backpacks. Last year the South Street team raised more than 100 and we want to do even better this year. South Street Self Storage is having a BBQ and Backpack Drive event on August, 26th. Donations from this event will be given to local community elementary and middle school students. Property Manager Tony Tinajero and the rest of the South Street Self Storage team will be on hand to accept donations, cook food, and answer any questions you might have about the backpack drive. The students we are helping attend elementary and middle schools in the Long Beach, California community including Mokler Elementary, Zamboni Middle School and Hoover Middle School. Come on out for food, fun, and support for a great cause, our community’s children! Here at South Street Self Storage, we know our success is due to our wonderful team. The care they give our renters is unparalleled and we want to highlight their milestones along the way. Below is an interview with Long Beach, CA team member Antonio Tinajero, who is celebrating his 9-year anniversary with StaxUP Storage. Antonio Tinajero is the Manager at South Street Self Storage in Long Beach, California. You can find Antonio at South Street Self Storage in Long Beach, CA. Colby: What year anniversary will this be for you? Tony: This is my ninth year. Colby: Year nine! Wow. How did you start working in self-storage? Tony: My wife was working in the industry and on my days off I would go in and help her. She would work four days a week for this other company and I’d help on my days off. The district manager of that company asked me what I was doing here. I said I’m just helping out. He said well wouldn’t you like to get paid? Colby: Nice! You’ve been with the company for nine years. What’s the best thing you’ve learned while working there? Tony: Different things. Great opportunity to meet people of all walks of life. People who are sometimes going through a difficult path, just listening and helping them out. Colby: I’ll bet you have some interesting stories in that regard. 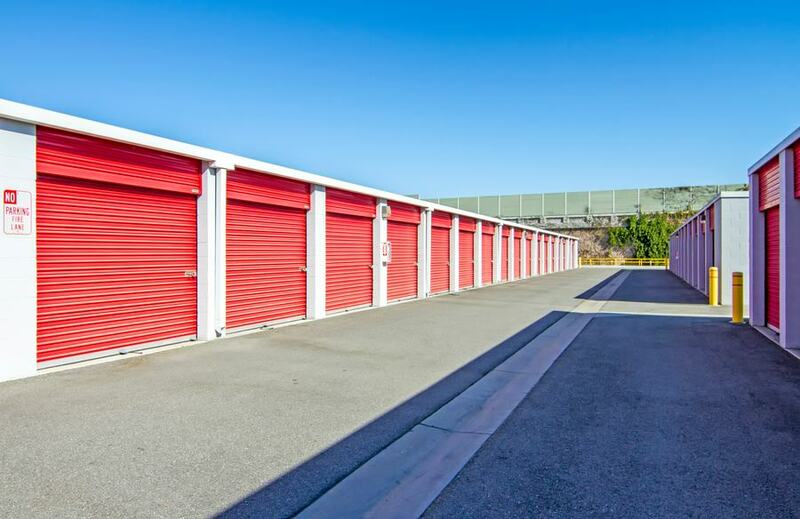 Do you have a favorite self storage story that you like to tell people when you’re chatting about work? Tony: One comes to mind. A current customer of ours, I won’t use his name, but anyway, when he first came around, it was toward the end of the day, we were locking up and turning off the lights. He came in and was very rude and impatient to say the least. I stayed late and helped him out. After the rental, I was approached by some team members who asked why I helped him when he was acting so mean. I said I understand that life isn’t always easy and he was probably going through a difficult patch. The following Monday he came in and made his second payment and he apologized and recognized his behavior and he thanked me for the opportunity to be a customer. He was a totally different person after that; very grateful. He was going through something difficult and I didn’t disregard him. He’s the only guy I know who comes in with a smile when his rate increases. 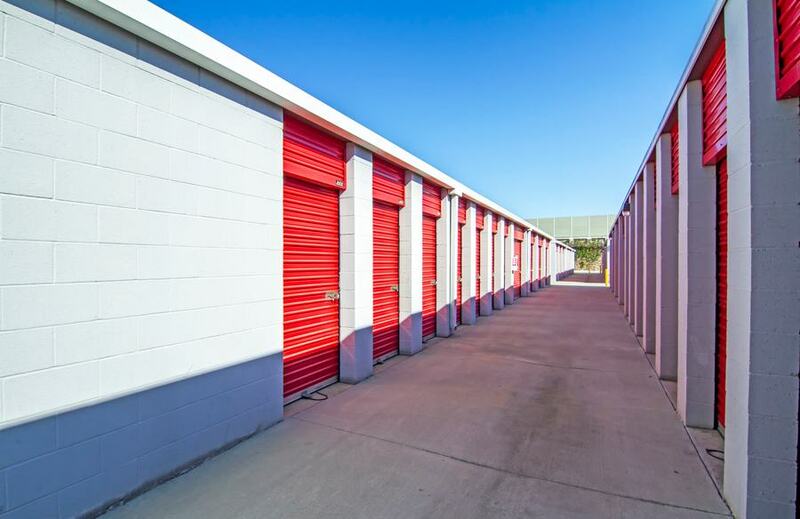 Wide lanes make storing your belongings at South Street Self Storage a breeze. Colby: If you can make someone smile over a rate increase you’ve done a pretty good job I think. Tony: You can’t forget the humane side of things. People go through rough patches, rough times. It’s ok to listen and not push people away. Colby: So, outside of work, what are some of the hobbies you like to do when you’re not at the facility? Tony: I like to walk in the park and the track. Biking, running, anything competitive. Automotive racing, motorcycle racing, you name it. Colby: Nice! What’s your favorite thing to do in the city? If I was going to be in the area for a day or two, what would you recommend I go check out? What’s a fun spot? Tony: There’s a nice walking trail by the beach. You can bring your bike. Gorgeous views of Encino Hill. The second Friday of every month, Bixby Knolls always has something going on. 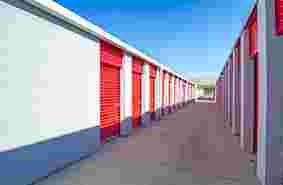 South Street Self Storage features indoor units that are easy to access. Colby: Hey on that same note, what’s your favorite restaurant close by the facility? Tony: I am a big seafood kind of guy. Mariscos El Perihuegute has authentic Mexican seafood. Colby: Tony thanks so much for doing the interview, is there anybody you’d like to give a shout out to? Tony: Yes, let’s give a shout out to my team. Cassie, Brian, Julie and Chad. They’re all willing to help with whatever questions I have, the corporate office and whatever issues we’re having. They’re great human beings and always willing to go the extra mile no matter what the task or what the issue is. Colby: Thanks again Tony! I’ll look forward to doing this next year for your ten-year anniversary! Here at StaxUP Storage, we know our success is due to our wonderful team. The care they give our renters is unparalleled and we want to highlight their milestones along the way. Below is an interview with team member Kassie Reyna, who is celebrating her 3-year anniversary with StaxUP Storage. You can meet Kassie at our South Street location in Long Beach, California. Colby: Hello, Kassie! What year anniversary will you be celebrating this month? Kassie: It’s gonna be three years this month. Colby: Have you always been at the same location? Kassie: I’ve been here all three years. Colby: Take me back a few years ago to when you were first applying for the job. What was it about StaxUP Storage that stood out to you when you applied? Kassie: It was my Aunt Sandra. She no longer works here, but her husband Tony is actually the manager here now. They had a position available and asked if I was looking for a job. At the time, I was going to school full time in Santa Monica, so I applied. I thought it would be fun to work with both of them. This is actually my first real job, so I didn’t know what to expect. It’s been a great experience so far. It’s helped me get out of my comfort zone, because at first I was really shy and kind of afraid of the customers! It’s been a nice way of getting out of my shell and helping me communicate better. Colby: Was there anything about working in storage that was kind of a surprise to you? Kassie: Honestly, I didn’t know what to expect, so not really. Colby: What advice would you give somebody if they were applying there and also didn’t have any self storage experience? What would you tell them? Kassie: Patience! You deal with lots of different people. Also, take care of one person at a time. I used to get overwhelmed if the office would get swamped and I was working alone. Just take it one customer at a time. Colby: Are there any stories that stand out to you over the last three years? Anything you tell people when they ask what your job is like? Kassie: Lots of people think I have an easy job and get to sit in the A/C all day. I tell them that there is always something that needs to be done, whether it be filing, making phone calls, getting ready for events. I’ve been helping with finding ways to raise money for our events. Colby: Oh cool, so doing some marketing? Colby: It seems that a theme with this company. That there’s some freedom to think outside the box and take some ownership of your own location more than maybe some other places. Kassie: Yes, and another thing I really like is the first Saturday of every month, we get to go volunteer at a local women’s shelter. Colby: Nice! That’s a great way to give back to the community and I’m sure they’re always in need of some extra help. Kassie: We do drives for them here. We’re currently doing a spring drive and a healthy food drive. We collect donations and take them to the shelter. Colby: I guess that’s a nice segue to step outside of storage for a bit. Tell us about yourself, what are your hobbies, what do you like to do when you aren’t at work? Kassie: I love to spend time with my family. I’ve recently gotten into hiking. I go to Griffith Park every Sunday to hike lately. I also love going to the beach and relaxing. Colby: Tell me a little about the area around the facility. What’s your go-to restaurant that’s close by? Is there a good local place you’d recommend. Kassie: I usually bring my own lunch to work, but there’s a place called New Wave Restaurant that I’m going to for the first time later today! It’s like an 80s theme place. Colby: NIce. You’ll have to let us know if it’s a fun place worth recommending! Final thing we ask, is there anybody you’d like to give a shout out to? Kassie: For sure. I’d like to give a shout out to Julie for giving me the opportunity and taking a shot on the shy girl. Also to my Uncle Tony and my Aunt Sandra.